Somersby Cider, the most popular cider in town, is uplifting everyone’s spirits through Somersby #ThatWeekendFeeling campaign, which is a series of activation that revolves around the #ThatWeekendFeeling recipe of Food+Friends+Me+Somersby. Urbanites getting their dose of That Weekend Feeling with some Somersby Cider.. Weekends are typically a time to ‘break’ from routine, let our hair down and be with our friends to rejuvenate. They are usually precious days of the week that we wish to last forever. If that weekend feeling could be bottled up, the recipe would be good friends, great food, refreshing Somersby Cider and me. With its sweet and refreshing taste that makes people feel rejuvenated, Somersby will be bringing #ThatWeekendFeeling to consumers so that they can savour weekends whenever they want. (From left) The comedians, Shankar Santhiram, co-founder of Crackhouse Comedy, Jonathan Atherton, Australian Comedian, Rishi Budhrani, Singaporean funny man, celebrating That Weekend Feeling. “Somersby Cider has continued to captivate the hearts of Malaysians with its natural fruity flavor that is both refreshing and crisp. This year, we hope to uplift our consumers’ spirits, and inspire everyone to have fun in every occasion via #ThatWeekendFeeling campaign. We believe the weekend state of mind can be created any day of the week so long we have the recipe of Food+Friends+Me+Somersby,” said Juliet Yap, Marketing Director of Carlsberg Malaysia. Jonathan Atherton, Australian comedy crusader uplifting everyone’s spirits. Somersby will be leveraging on various platforms which include comedy and food to bring #ThatWeekendFeeling to life. 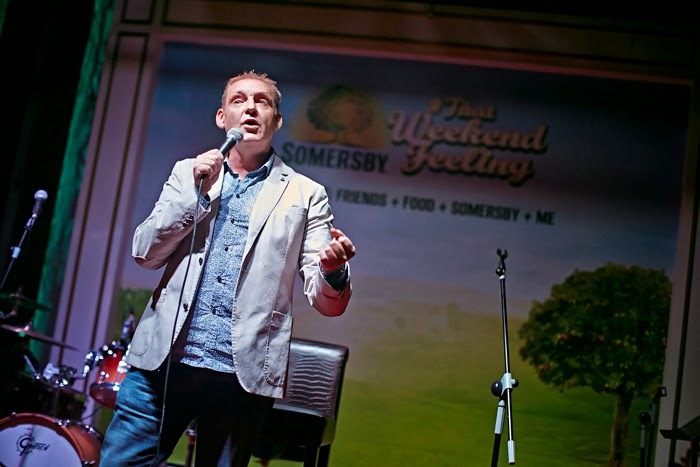 The brand will be tying up with Crackhouse Comedy Club, PJ Laugh Fest, TimeOut Comedy Thursday to offer consumers an avenue to laugh their socks off together with their friends over some ice-cold Somersby Cider. Food usually plays an important part of any gathering with friends. 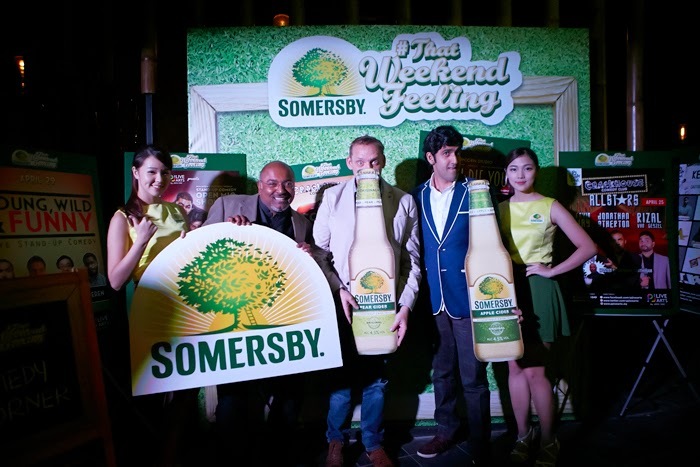 Hence, Somersby Cider will be featuring a series of food-related activations including brunch events for consumers to enjoy the beverage with different types of cuisine. In addition, the brand is also rewarding its consumers with #ThatWeekendFeeling surprise party for celebrative occasions. All consumers have to do is check out Somersby Facebook page or #ThatWeekendFeeling micro site to nominate a friend and to propose the occasion they would like to celebrate together with the nominated friend. 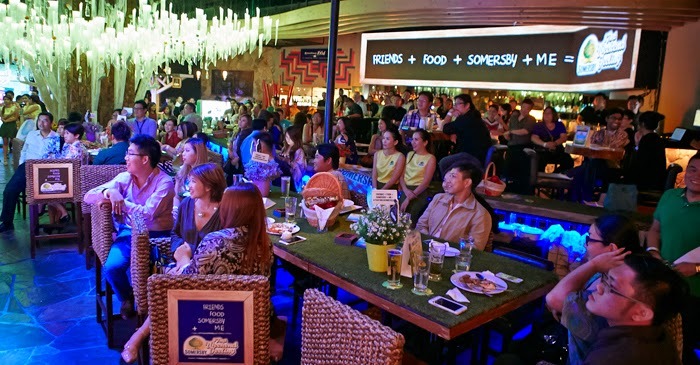 During the campaign launch, which was attended by about 200 people comprising of media and consumers, guests were entertained by acoustic performances plus comedy acts by popular comedians, Australian Jonathan Atherton and Singaporean Rishi Budhrani. Lucky guests also went home with tickets to comedy shows in PJ Laugh Fest, Crackhouse Carnival and Laugh Die You.